Metroid Prime is a video game developed by Retro Studios and Nintendo for the Nintendo GameCube. It is the first 3D game in the Metroid series, the fifth main installment, and the first of the three part Metroid Prime storyline. Despite taking place in the first person view, Metroid Prime is classified by Nintendo as a first-person adventure rather than a first-person shooter, due to the large exploration component of the game and its precedence over combat. As with all Metroid games, players solve puzzles, perform platform jumps, and fight enemies in a large, open ended world. Along the way, the player finds power ups that improve her abilities, and clues about the mystery of the planet. The story is told organically; the story is revealed through scan logs, allowing the player to dive into the story or ignore it as they see fit. Metroid Prime was re-released in Japan in 2009 for Wii as part of the New Play Control! series. It has revamped controls that use the Wii Remote's pointing functionality, similar to those of Metroid Prime 3: Corruption. The credit system from Prime 3 is also included to unlock the original bonus content, as well as the ability to take snapshots of gameplay. 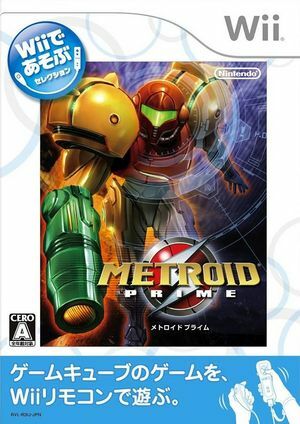 Prime, Metroid Prime 2: Echoes, and Metroid Prime 3: Corruption were bundled together on a single disc as Metroid Prime: Trilogy, released in North America on August 24, 2009. In Metroid Prime: Trilogy, both Prime and Prime 2 contain all of the enhancements found in their Japanese New Play Control! counterparts. Metroid Prime (Wii) is one of the most susceptible titles to shader compilation stuttering. The GC and Wii have no concept of shaders - everything is executed directly by the hardware without an intermediate programming language (API). Modern computers and mobile systems do not work in this way, requiring the use of shaders as an intermediary so your system's GPU can perform the tasks that the GC and Wii GPU performed directly. Shaders have to be generated though, and since GC/Wii games are not designed to create shaders ahead of time as a PC game would, when a new effect appears Dolphin has to delay the CPU thread while the GPU thread performs the compilation; a pause that does not exist on the consoles. For most games shader generation takes only a few milliseconds, but for a few demanding titles, the shaders that they generate are so large that they can result in noticeable stuttering, in severe cases pauses of over a second may occur. The graph below charts the compatibility with Metroid Prime since Dolphin's 2.0 release, listing revisions only where a compatibility change occurred. This page was last edited on 1 August 2018, at 09:52.